Carmel Shields is Director of ProCare Medical Equipment Maintenance and Service and an Executive Vice President of Shields Health Care Group. Prior to joining Shields she was a Fiscal and Legislative Analyst for the House Committee on Ways and Means, Commonwealth of Massachusetts. Carmel currently serves on the board of various not-for-profits, including Care 2 Communities, the Board of Overseers of Boston Children’s Hospital and The Advisory Council for the Women’s Foundation of Boston. 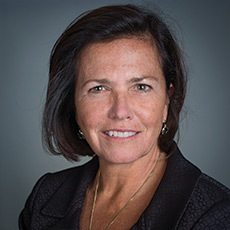 Previously, she served on the Council of the Connors Center for Women’s Health and Gender Biology, Brigham and Women’s Hospital, and the boards of the Yawkey House of Possibilities, Stonehill College, the Nativity Preparatory School of Boston, the Epiphany School (Boston), the Catholic Schools Foundation (Boston), The Park School (Brookline), the Fuller Craft Museum and the Brockton Area Workforce Investment Board. Carmel is a graduate of Boston College, and she earned an MBA from Northeastern University, a graduate degree in Environmental Law from the University of Sydney (AUS) and her JD from the New England School of Law.